The Bormolini Family have lovingly converted and finished this former barn using their own, hand made furnishings. Guests have exclusive use of the hotel & apartments and can choose from a range of board options. Breakfast comes highly recommended with fresh coffee, delicious pastries and homemade jams included and cooked breakfasts at a small charge. It’s easy to see why so many return year after year. Being just 70m from the slopes makes it possible to ski back to the property for most of the season. 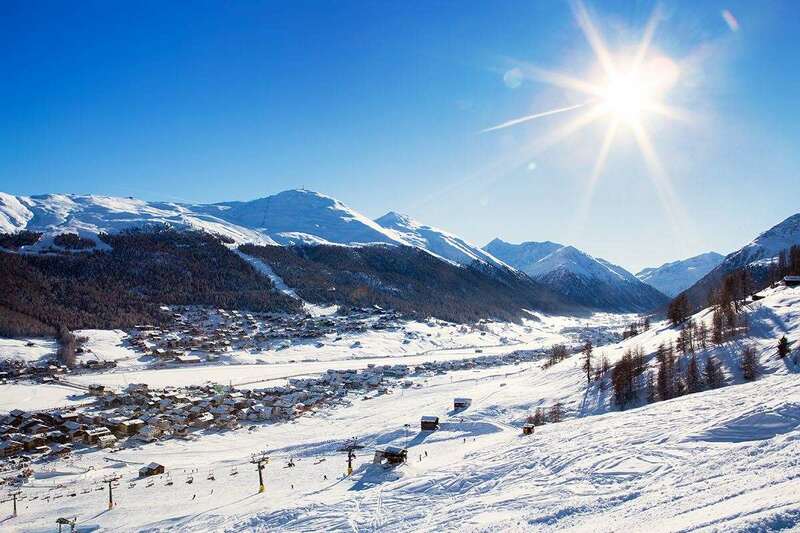 The ski school meeting point and lift access to the Carosello Mountain are a couple of minutes walk and as you’re in the heart of the San Rocco area, you’re close to the bustling nightlife too. Rooms (2-4people): Twin or double rooms have cable TV‚ mini–safe‚ en–suite bathroom with shower‚ hairdryer and wc. Some rooms can take a third bed (suitable for child only). Two family rooms that can sleep up to 4 adults are also available. Apartments: All have a kitchen with 4–ring hob and oven‚ Wi–Fi‚ TV‚ mini–safe‚ shower & wc. 1 Bedroom Apartments (2–4 people): Have a double bedroom with an additional single bed and a single sofa bed in the living area. 1 bedroom apartment (2–5 people): Double and single bed in the bedroom plus a double sofa bed in the living area. 2 Bedroom Apartments (2–6 people): Double and twin bedroom and a double sofa bed in the living area. One of these apartments has a balcony. Bed & Breakfast. Continental buffet breakfast. A pre-bookable evening meal option at the nearby Cenacolo restaurant is available at a supplement. I would like to thank the wonderful staff who supported me and my partner during our holiday last week. We were originally booked into accommodation that was unsatisfactory and they moved us to the Francescato, what a lovely family run hotel! All were friendly and chatty and the atmosphere was calm and homely. It was close to the slopes and bus stop, so great not to have to walk far in my ski boots! The reps worked tirelessly and supportively to make sure that everyone had a good holiday, I would like to thank Sam and his team mates to being the best reps I have come across during my many years of holidays. I will definitely be using Iglu again, as the lovely welcoming hotel, great resort and amazing slopes made it the best skiing holiday I've had.